Preparations are underway for the Pitti Uomo 2017 – Picture 91 planned in Florence from 10 to 13 January 2017. The kermesse, flagship of the Italian men’s fashion week, also this year will bring into the historic florentine building, all the major international brands of fashion man. 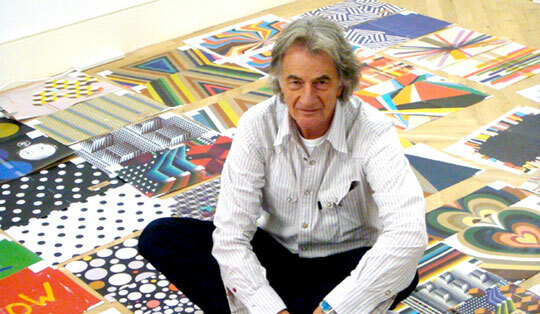 Guest stars this year will be Paul Smith, the eclectic British designer who chose the Italian event to launch his new “PS by Paul Smith” collection. A launch event which will see the creation of a special installation, which at the moment not much is known, but rumors say that it will be very spectacular, in the iconic British designer’s style. The collection that Paul Smith will present at Pitti Uomo 2017 – Picture 91 is a refined collection, but, highly contemporary, characterized by technical tissue and ergonomic cuts. In addition to Paul Smith, there will be many a lot of stylists and designers of international renown who will tread the catwalks of the Pitti Palace. The program of Special Events, in fact, is rich and varied. For Menswear guest designer will be Tom Coppens, a talented Belgian designer who has already won many international awards. He will present for the occasion at the European premiere his collection autumn-winter 2017-2018. The Coppens man is a modern man who loves elegance, but not for this mean sacrificing comfort. His creations blend tailoring and athletic wear. There are great expectations also for the Special Project, which this year is all Italian with Golden Goose Deluxe Brand of Francesca and Alessandro Gallo, a promising pair of young Venetian designer. Already arouses much curiosity, finally, the capsule collection “Cottweiler for Reebok” which will be presented as part of the Design Project born from the collaboration between the British company and the well-known brand of sportswear. As we said at the beginning, the preparations are currently underway to further enrich the already packed program of events and appointments of Pitti Uomo 2017 – Picture 91, but for the full program we will have to wait a few weeks.